As you sit here reading this, alt-right groups are gathering in Virginia, trying once again to infuse their hatred into our national dialogue. The governor of Virginia has declared the upcoming gathering of slime balls a state emergency, and called out the national guard to help contain the chaos. White Nationalist groups plan to demonstrate in front of the White House at Lafayette Square Sunday. Organizers admit there will probably be less of a turnout this time around. I heard one estimate bandied around that 400 people are expected to attend. I also heard that over twice that many counter-protesters will be there. That may have something to do with the national backlash from their last gathering at Charlottesville when a counter protester was run over and killed by a self-avowed NAZI and Hitler-lover. For the first time since Trump slithered into office part of his alt-right base went too far with last year's hate parade that he wouldn't condemn. The same voters who didn't call Trump out for his race-baiting, and actually encouraged it, or just let their real feelings bubble to the top of already simmering prejudices, saw Trump as the gatekeeper who would legitimize their warped views. Mainstream America has not accepted the white supremacists rhetoric and those racists who thought it was safe to crawl out from beneath their rocks when Donny was elected. The backlash against that outpouring of hate and bias has been steady, and unrelenting. Take a look at what's happening with one of the most hateful conspiracy nuts in the nation, Alex Jones. He's being sued by parents that lost children in Sandy Hook because he's made life hell for them claiming their children never died and the massacre was all a hoax. Social media platforms like Facebook, YouTube, Apple, and Spotify have banned him for violating their rules of decency. Fox News still promotes racism with commentators like Sean Hannity, Tucker Carlson, and Laura Ingraham. When Ingraham told her listeners the other night that the "America we know and love doesn't exist anymore," she displayed her racist credentials for all to hear. "Massive demographic changes have been foisted on the American people, and they are changes that none of us ever voted for, and most of us don't like," she ranted. Whose "us," you ask? I'll give you a hint...racists. Her rant was called out by the mainstream press and on the internet. Americans are not standing by and letting these attacks against our very democracy go unchallenged. The haters are not winning. I don't care what Trump tells that minority of Americans who follow him like lemmings, the majority are resisting him and his legions of racists. Just look at Trumps national popularity polls. 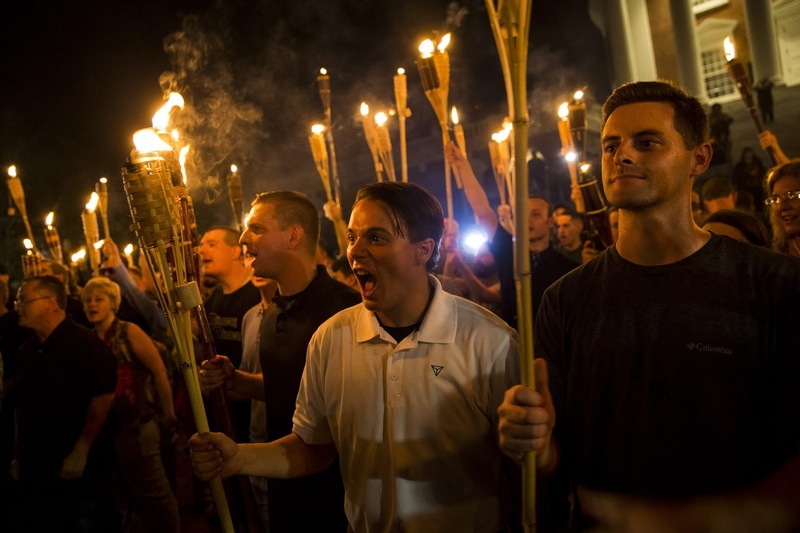 The only thing tomorrows hate parade is going to accomplish is to reinforce the resistance against them, and cost unfortunate Virginia taxpayers millions in security.